In the ER section of a makeshift hospital in Syria that MSF has converted from a farm. 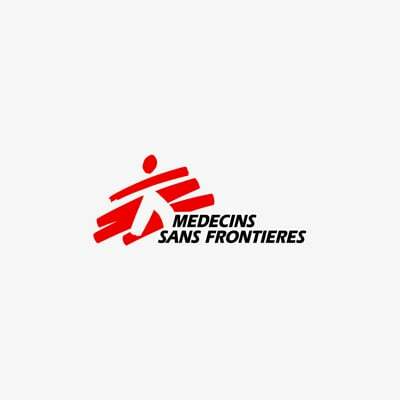 Médecins Sans Frontières (MSF) today releases medical data collected from the hospitals and clinics it supports in Syria’s besieged East Ghouta enclave. Covering the first two-week period of the military offensive, the numbers reveal a relentless barrage of mass casualty influxes at a time when medical supplies are extremely limited, medical facilities have been hit by bombs or shells, and the medics are completely exhausted. In the two weeks between the evening of 18 February to the evening of 3 March 2018, the medical data reveals 4,829 wounded and 1,005 dead – or 344 wounded and 71 dead per day. This data is collected from 10 medical facilities to which MSF provides a full package of support, and a further 10 facilities to which MSF has been providing emergency medical donations from its remaining medical stocks inside the East Ghouta enclave. Two of these facilities have yet to submit data for 3 March, so this is an underestimate. There are many other medical facilities in East Ghouta that are not supported by MSF, sothe overall toll is significantly higher. “The numbers alone speak volumes. But even more telling are the words we hear from the medics we are supporting on the ground,” said Meinie Nicolai, MSF General Director. MSF reserve stocks of medical supplies in East Ghouta are being distributed amid the almost ceaseless bombing and shelling, but these supplies are being rapidly consumed by the supported facilities and some key items, particularly for surgery, have run out. An official aid convoy that was granted access to the northern part of the enclave on Monday had medical items removed by the government of Syria, according the UN, which was co-managing the convoy. The need for a massive medical re-supply, without life-saving items being removed, is increasingly urgent with each passing hour. Of the 20 hospitals and clinics MSF is supporting, 15 have been hit by bombing or shelling, with varying degrees of damage. This further reduces their capacity to provide care. Four of the medics MSF supports have been killed and 20 wounded. The medical needs go beyond war-wounded patients. In most neighbourhoods of East Ghouta, the majority of residents are living in basements and makeshift underground shelters, in unsanitary conditions with limited safe drinking water and often no hygiene or sanitation facilities. Before the enclave-wide military offensive started on 18 February, MSF had already been boosting assistance to a field hospital in the Harasta neighbourhood, where bombing and shelling have been intense since November 2017 and some 70 percent of the population were already living underground. The medical data from that neighbourhood showed clear increases in respiratory infections, diarrhoeal diseases and skin infections, with many of these patients being children. allow independent humanitarian medical bodies to enter the area to provide hands-on assistance. At the start of the recent escalation in fighting, MSF was providing a full package of regular support to 10 health facilities in East Ghouta. Since 18 February, MSF has been increasingly active in supplying other facilities with emergency medical donations. Even facilities that had not asked for MSF support inyears have been doing so. MSF was also making emergency donations to most hospitals and clinics in the area from its fast-depleting stocks, but was unable to supply some key items for surgery that were simply unavailable to anyone in East Ghouta. No MSF staff members are present in supported facilities. Elsewhere, MSF directly operates five health facilities and three mobile clinic teams in northern Syria and has partnerships with five facilities. MSF also provides distance support to about 50 health facilities in areas of Syria where teams cannot be directly present, including in East Ghouta. Some of these are regularly supported and others receive emergency medical donations in times of dire need. MSF's activities in Syria do not include areas controlled by the Islamic State group, since no assurances regarding safety and impartiality have been obtained from their leadership. In addition,MSF is unable to work in government-controlled areas since its requests for permission have, to date, not resulted in any access. To ensure independence from political pressures, MSF receives no government funding for its work in Syria.